Industrial aluminium 2 drawer cabinet. Covered inside with black cloth for protection. Sturdy aluminium furniture with a wooden frame. 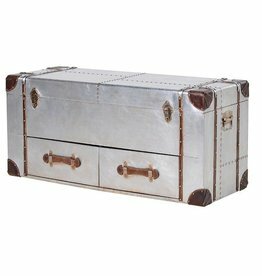 Silver 2 drawer trunk with straps. 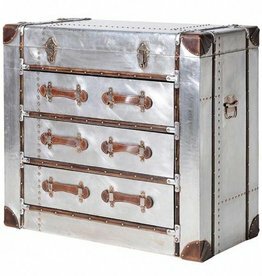 Silver 3 drawer trunk chest. 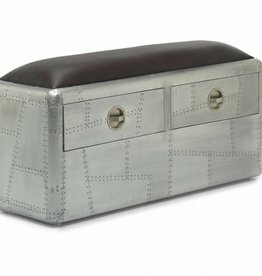 Industrial aluminium storage trunk. Industrial style. Silver trunk wide media unit.